Appropriately enough, it’s tough to stay at the top when it comes to battle royale, as Realm Royale developer Hi-Rez Studios has learned. About 94% of the game’s players have left since its highly-anticipated launch in June. GitHyp reports that after an all-time peak of about 105,000 players, interest in the class-based battle royale mode for Paladins quickly tapered off, dwindling to 4,711 concurrent players Friday. While Realm Royale is still in what the developers are calling an alpha state right now, those are discouraging numbers, particularly when considered against the one million concurrent players in PlayerUnknown’s Battlegrounds that same afternoon. It’s a familiar story at this point: Last year, Boss Key’s Lawbreakers failed to find an audience after launching behind PUBG’s massive popularity, and the studio’s attempt to join in on the battle royale trend with Radical Heights proved too little, too late to save Boss Key from shutting its doors. As Fortnite has eclipsed PUBG in popularity, studios jumping into battle royale are finding it difficult to attract and keep players. 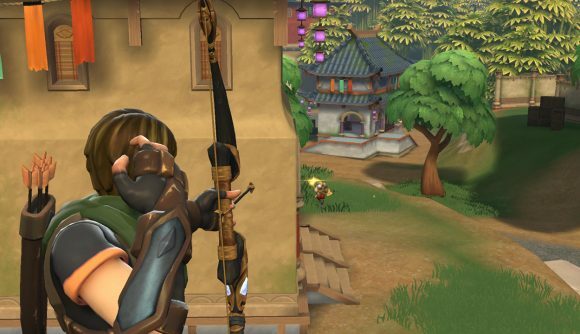 Realm Royale introduces some genuinely new ideas to the battle royale format, but that’s come with its own set of problems. Balance changes to its class abilities and weapons have resulted in lengthy time-to-kill stats for Realm Royale, and new players have been frustrated with how firearms have wound up feeling underpowered. The current low player count doesn’t necessarily spell doom for Realm Royale, however. The game’s initial player spike followed coverage from some massively-popular streamers, including Ninja, and once the game is further along in development, streamers could very well return to it and spark renewed interest in the free-to-play battle royale contender.